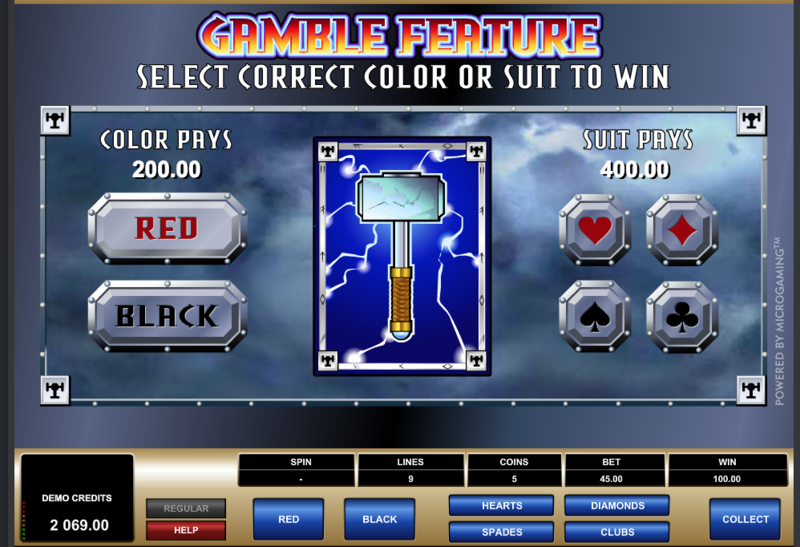 This slot celebrates the Norse God of Thunder with a high-volatility game that includes plenty of chances to double or nothing your wins. The slot does feel a little dated, but we can forgive that of a classic. Thunderstruck draws loosely on Viking mythology basing itself around the character of Thor, the Old Norse god of thunder. He appears in person on one symbol and the others (ignoring the usual A, K, Q, J, T, 9 symbols) are close ups of his hammer, of drinking horse, the gates of Valhalla, or else the lightning bolts he produces as part of his day job. Fans of the stories of the frozen North, Viking raiders, and Swedish Death Metal, this one is for you. The graphics are a touch old-fashioned (especially when compared to similarly themed games like Viking Runescape), but they work rather well. It’s a little unclear how the metallic background ties in, but it is at least easy to look at. The animations aren’t fancy, but are acceptable and the music is a simple and atmospheric combination of drums and the whistling of wind. It is pretty average in terms of quality, but average isn’t bad. 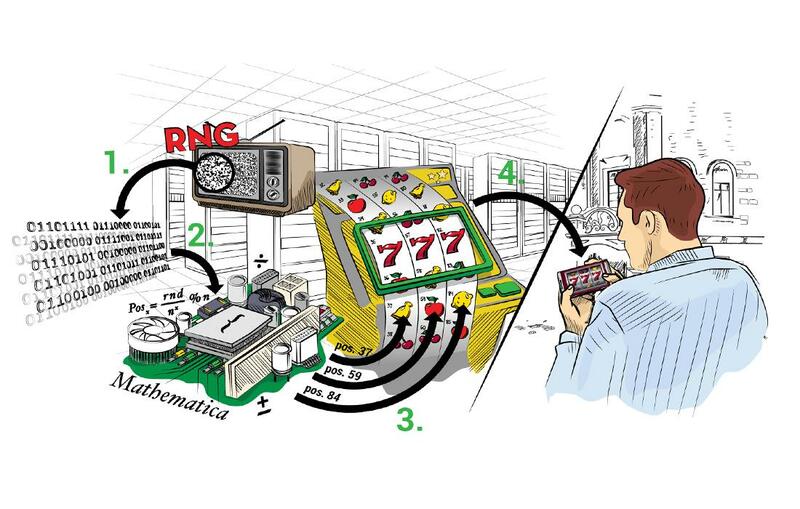 The game is a simple 5-reel slot with nine pay lines, of which you can play any number you choose. 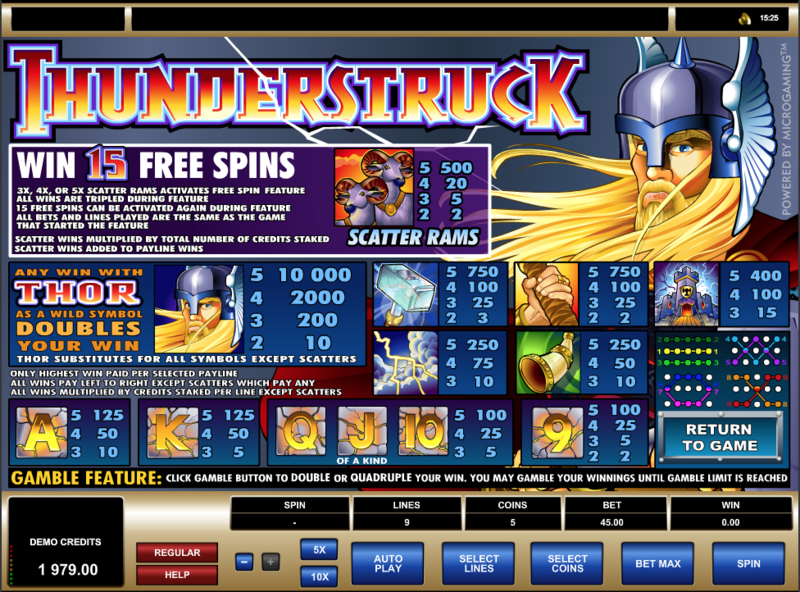 The bonuses when you hit them are just free spins (lucrative, but rather samey in terms of gameplay). There is a nice gamble feature in which you can take a chance to double or quadruple your winnings. It is a variant on the usual double or nothing red or black game, but if you’re feeling risky you can choose to bet on the suit instead in a quadruple or nothing game. It’s a nice twist on a familiar format for which Thunderstruck earns some points. There are just two special symbols - the Ram (or Scatter) symbol and the Thor (or Wild) symbol. 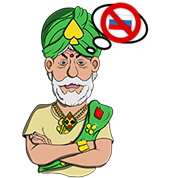 If you manage to hit 3, 4 or 5 Ram symbols you win a multiple of your bets for hitting the Scatter combo, but you will also trigger a bonus 15 free spins. During the spins the prizes for hitting each combo are tripled. You can also win a further 15 free spins by hitting the Scatter combos again on your free spins. These will be added to your total free spins. The Wild symbol is a more standard character. It simply can be used to complete any combos on a winline (except Scatter combos) and doubles your win when you win using a Wild symbol. Simple. The game has a pretty middling return to player of 96.1%, which is pretty average. It doesn’t win any points for that in our book, but it also doesn’t lose any. The decent RTP pairs well with the notoriously high volatility of Thunderstruck. This makes it an excellent candidate for playing with our own strategies. As well as a choice of 1 to 9 winlines, you can also bet from 1 to 5 coins per line. On the site we tested these could be scaled from €/£/$0.01 to €/£/$2.00. That gives a nice spread of bets per spin. 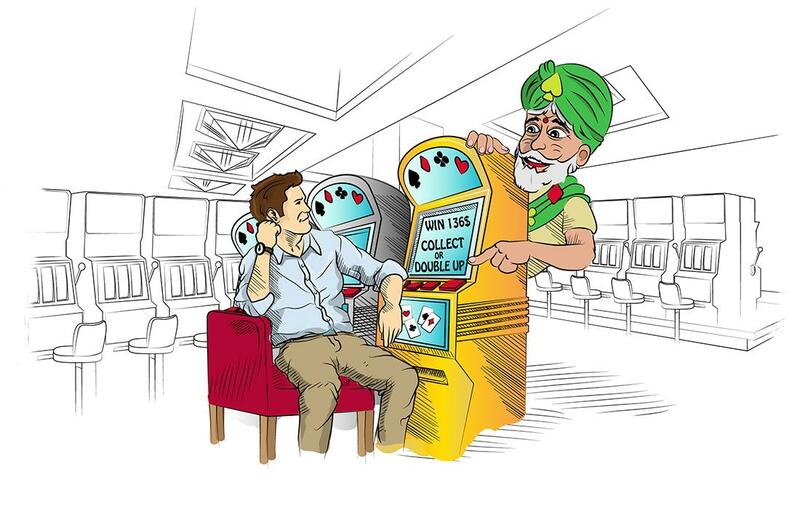 Only the very highest rollers might be frustrated by the €/£/$90.00 maximum bet per spin. 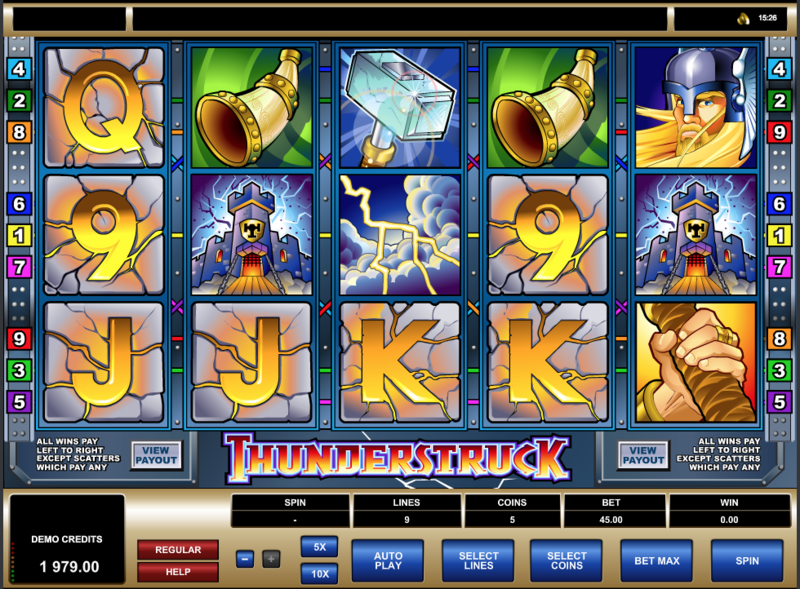 The visuals, audio and gameplay are pretty standard in Thunderstruck. It certainly doesn’t blow you away. 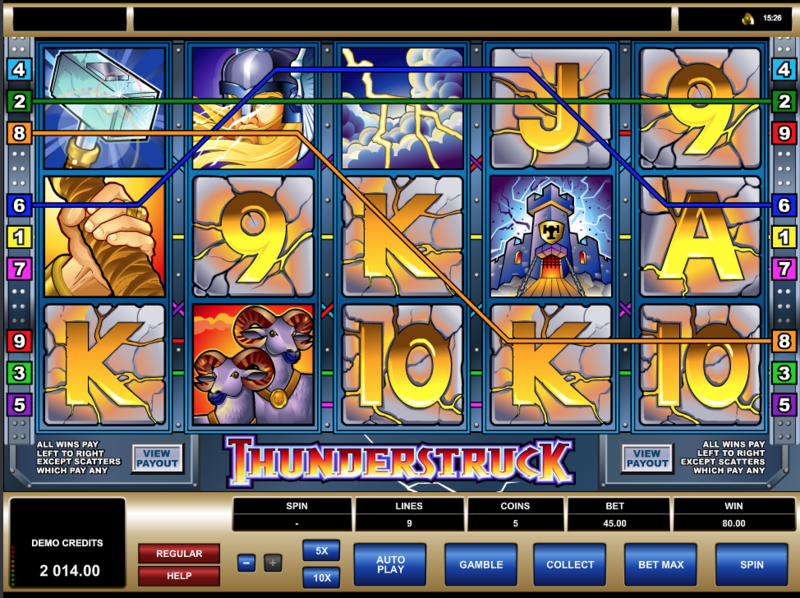 But the high volatility, decent RTP and fun little gamble feature mean this is slot holds its own.